Possessing a stunning collection of 365 beaches, (one for every day of the year!) Antigua, Barbuda and Redonda collectively make up the independent nation of Antigua and Barbuda. As part of the Commonwealth of Nations and the West Indian Leeward Islands, Antigua and Barbuda’s tropical climate makes it the ideal destination for Caribbean vacations, honeymoons or real estate investment. Antigua and Barbuda property sales and vacation rentals is the mainstay of the economy and accounts for more than half of its total GDP. Agricultural production is focused entirely on the domestic market and the only constraint is a limited water supply and a shortage of labor due to higher wages offered within the tourism and construction industries. Manufacturing mainly focuses on assembly for export. The official currency is the Eastern Caribbean dollar with traveler’s checks and all major credit cards being accepted. The Caribbean island of Antigua possesses a number of international banks, trust incorporators, offshore companies, law firms and insurance companies. Antigua has become very popular for Caribbean real estate investors. Investment in the Antigua real estate market has made it possible for visitors to enjoy year-round access to Caribbean beaches, beautiful landscapes and urban centers. This is one of the islands that offer prime Caribbean real estate opportunities, with all types of properties available, including beachfront, hillside and ocean view homes, as well as property lots for building and development. Whether you want to retire on the islands of Antigua and Barbuda, or simply buy a Caribbean vacation home there is something here for everyone! Antigua & Barbuda Activities, Dining and Entertainment The national dish is Fungie, a dish made mainly of cornmeal and pepper pot. Other local dishes are Ducana, seasoned rice, saltfish and lobster. Local delicacies include sugar-cake, raspberry and tamarind stew, fudge and peanut brittle. The local diet has now diversified and includes dishes from Jamaica, Guyana and other neighboring Caribbean islands. Chinese restaurants have become very popular Lunches here are typically rice or macaroni and pasta, with vegetables or a salad. An entree served with a side dish like macaroni pie or scalloped potatoes is also standard fare. Local drinks include mauby, seamoss, raspberry juice, tamarind juice, lemonade, mango juice and coconut milk. Adults usually favor local beer and rum. Antigua possesses a staggering variety of restaurants, bars and venues for daytime and nighttime entertainment. Restaurants offer fine dining, with international as well as authentic Caribbean and Antiguan cuisine. Watering holes offer everything from local drinks to the finest French wines and champagnes. In addition, there are art galleries, casinos and cricket venues to choose from. Other activities, especially on Barbuda, are relaxed and include beachcombing, fishing, golf and tennis, with water activities like snorkeling, diving or sunbathing. The pink and white beaches and shipwrecks and reefs are simply breathtaking. Frigate Bird Sanctuary, Barbuda Barbuda’s Frigate Bird Sanctuary is in the northwestern lagoon and is accessible by boat. It contains over 170 species of birds and over 5,000 frigate birds. Fregata Magnificens, a water bird, has the largest wingspan in proportion to body size and it is sometimes referred to as the man o’ war bird. The courting season is the fall and chicks usually hatch late in the year. Antigua & Barbuda Climate The climate of Antigua and Barbuda is described as year-round tropical maritime, which is regularly cooled by trade winds. Temperatures range from the mid-seventies in winter, to the mid-eighties in summer. Annual rainfall is only about 45 inches, making the islands the sunniest in the Eastern Caribbean and Antigua real estate in high demand. Northeast trade winds are constant, dropping in intensity a little in September. There is very low humidity through the year. The hurricane season normally runs from June to November. Antigua is 14 miles long and 11 miles wide, with an area of 108 square miles. Barbuda is a flat coral island, approximately 30 miles due north of Antigua, with an area of only 68 square miles. The nation of Antigua and Barbuda also includes a tiny uninhabited Caribbean island called Redonda, which is now a nature preserve. These islands are situated in the Eastern Caribbean, between the Caribbean Sea and the North Atlantic Ocean and east-southeast of Puerto Rico, in the middle of the Leeward Islands, about 17° north of the equator. To the south of these islands lie Montserrat, Guadeloupe and Nevis, while St. Kitts, St. Barts and St. Martin are to the north and west respectively. Antigua and Barbuda is a part of the Lesser Antilles archipelago along with Guadeloupe, Dominica, Martinique and St. Lucia. Visitors can get around this Caribbean Island either by taxi or via other options provided by a number of tour operators. Even bus service is fairly good. Locals are quite friendly and hospitable. The vehicles are driven on the left in Antigua and Barbuda and the main roads are well maintained. However, paved roads are few and narrow; therefore, pedestrians have to walk on the road. To drive a car in Antigua and Barbuda you have to purchase a local driving license available from car hire companies for about US$20. It is recommended to get comprehensive travel and medical insurance before travel to Antigua. Travelers need to take precautions against mosquito bites. Use insect repellent generously, both in the day and night. Ensure that all necessary vaccinations are taken in advance. Antigua became a strategic port and a valuable commercial colony. Slavery, which was initially introduced here to run the sugar plantations was abolished in 1834. Antigua’s Carnival festivities today commemorate the abolition and emancipation, one of the earliest in the British Caribbean Islands. The festivities, celebrating emancipation, range from the Party Monarch and Calypso Monarch competitions, to the Panorama steel band competition and the Miss Antigua Pageant. The celebrations of this eleven-day carnival, which is typically held at the end of July into early August, includes many local concerts, parades, cultural shows and food fairs. There are several musical forms of the Caribbean islands featured in the Carnival. Calypso is the oldest of these and is often reported to have begun as a way for slaves to communicate in the fields. Steel drum music began when hammered steel pans cut out from oil drums replaced traditional bamboo percussion instruments. Soca is an indigenous musical form that combines the slower beat of American soul music to an upbeat calypso tempo. Another musical form that is quite popular in Antigua is reggae. Originally from Jamaica, reggae is now part of the local music scene. 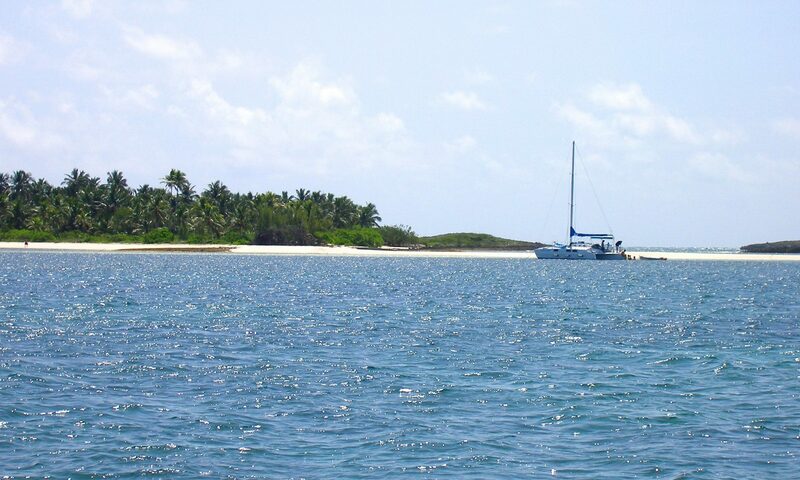 Barbuda is one of the few Caribbean islands almost totally undeveloped. Barbuda’s history is intimately tied to that of Antigua. The first attempts to settle in Barbuda by Europeans were failures. Ultimately however in 1666, the British established a strong colony here. In 1680, before he even initiated sugar cultivation in Antigua, Christopher Codrington and his brother John were granted a lease inland. Later, further leases granted salvage rights to all the wreckage along the reefs and they became the preeminent family in Barbuda. The islands became an independent state within the Commonwealth in 1981.